To a packed meeting of British nationals resident in Adeje and other parts of South Tenerife, the deputy head of mission at the British Embassy, Mr Tim Hemmings was able to reassure those present that they were not about to be “kicked out of Spain”, and that, in line with recent and on-going conversations he and his team were having with government representatives both in the UK and Spain, the rights of British residents in Spain (and other parts of the EU) continued to be one of the top priorities in the Brexit negotiations. 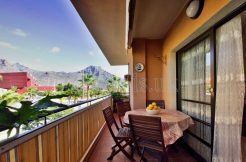 Mr Hemmings was in Adeje with Charmaine Arbouin, the Consul for Southern Spain and the Canary Islands and Helen Keating, vice-consul in Tenerife. Prior to the public meeting the delegation were officially welcomed to the borough by the Adeje councillor for the presidency and deputy mayor Carmen Rosa Gonzalez Cabrera. The Adeje councillor said, “Adeje is a borough where over 120 different nationalities live together, side by side, in harmony and with no problems”, and saw no reason why that would not continue to be the case. She also stressed the importance of being on the ‘padron’, the resident’s register, “and making sure you renew your existence on the padron when you are required to”. 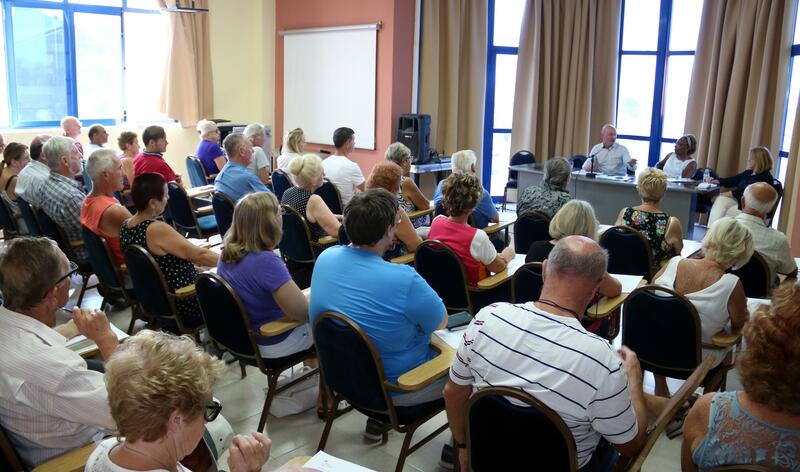 Over 80 British nationals, resident here in South Tenerife, attended the public part of Mr Hemming’s visit, where he spoke to assure people that the rights of British people who had chosen to live abroad was genuinely the UK government’s N1 priority. He outlined the current negotiations in as far as was relevant, stressing how many areas of agreement there were now between the British Government and the EU team, before opening up the floor to questions. People were concerned about a range of issues, from taxations rights to pensions, passports and the possibility of dual nationality (currently not possible), and the likelihood of needing visas to travel to and from Spain in the future, and Mr Hemmings and the other members of the delegation dealt effectively with all the questions asked. Following the meeting those who had attended said they certainly felt their principal questions had been answered and were grateful for the chance to meet with the Embassy representative. For his part Mr Hemmings stressed the importance of keeping the consul and the Embassy up to date on the public’s concerns about the negotiations as, given the large number of Britons living in Spain, the UK government do pay particular attention to the views coming from this country.